Tom pulled on a pair of socks. The boxer socked her opponent on the jaw. Ben intervened in the fight and got a sock in the nose for his trouble. That new Broadway show is a sock! The actor gave a sock performance. You might wonder why sock away means to save or put into reserve. It’s because people used to store any spare money they had in a sock. 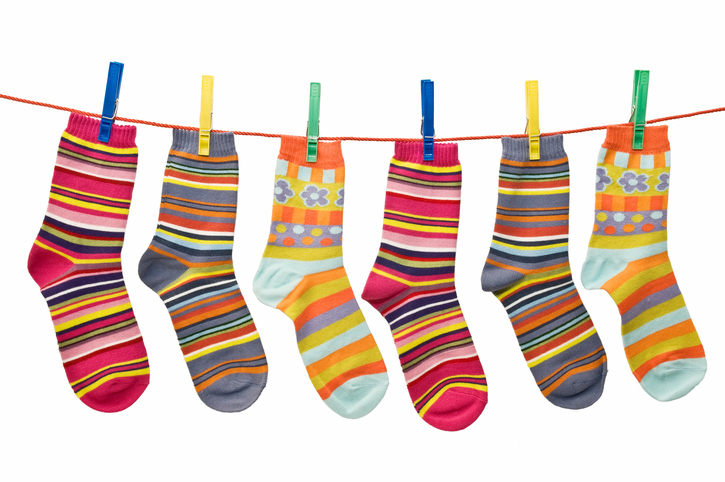 By extension, sock became a term for a store of money. You aren’t very likely to hear people use the noun sock in that sense anymore, but the verb is still used.